Huevos Rancheros was a staple breakfast in my house growing up. It was my dad’s favorite! Even when we’d go out for breakfast he’d order this, or migas if it was on the menu. This was my first attempt at recreating this dish. While I was getting all the ingredients ready… this was the scene in the living room. 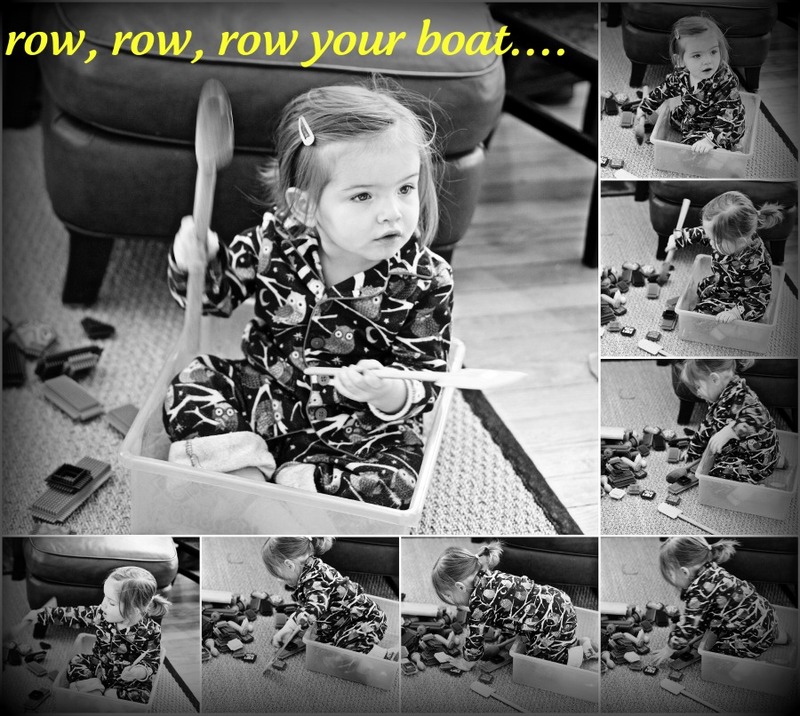 M was playing row row row your boat with my kitchen utensils. I love this! 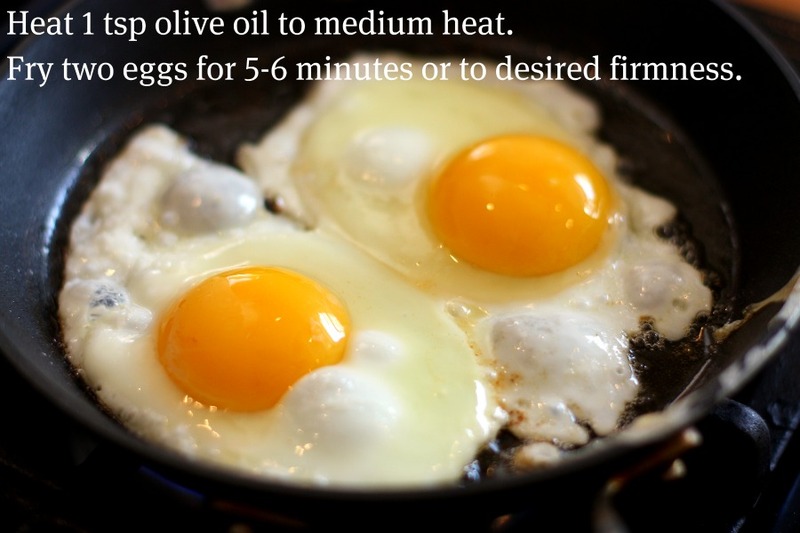 I’ve been totally craving eggs lately…for dinner! 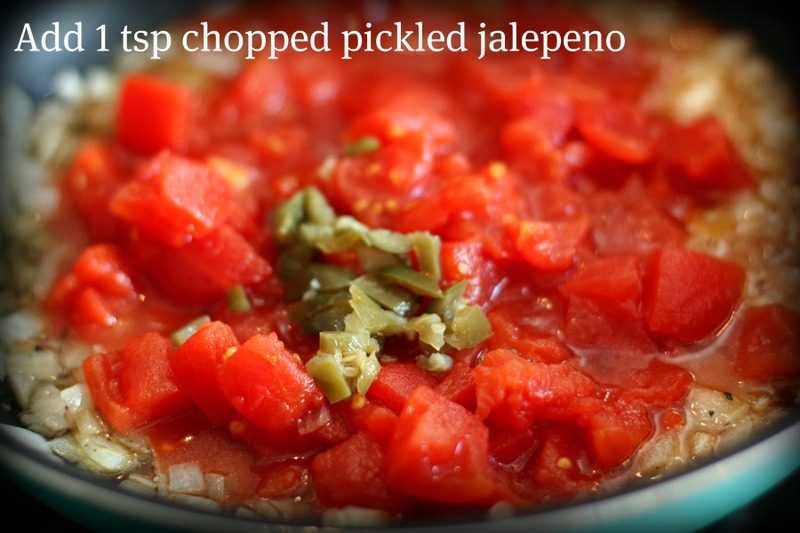 I always eat salsa with eggs, so in my opinion….this dish is perfect! It is absolutley beautiful! Um, not sure why I added ‘s to utensil. Sorry for the typo. You have to take pics of you and Sophie in matching pj’s! That would be super cute! I love it–she’s in the box! And this breakfast looks great just for breakfast. I’ve been craving savory breakfasts lately, which I blame on months and months of oatmeal. Sure brings back memories of the good old days at Grandma’s in Texas. Can’t get enough cilantro!! It is so good in regular salads. Glad you are feeling better. Merry Christmas to you all. Did M see Santa? 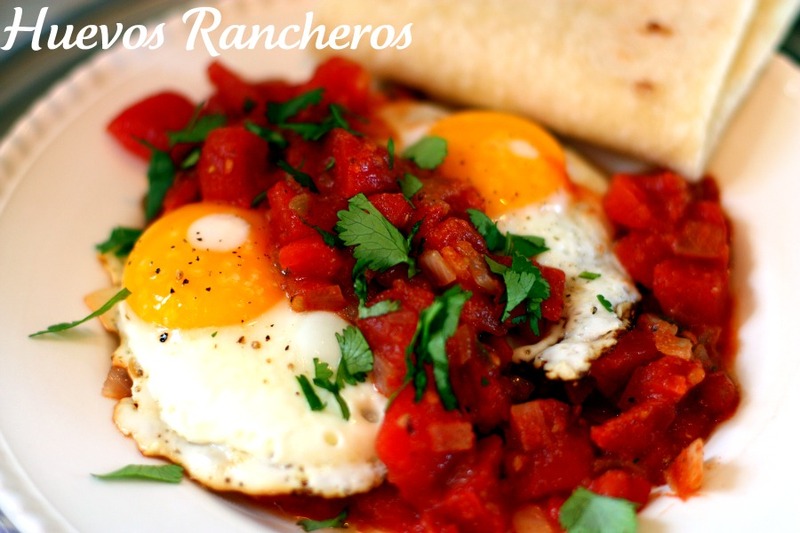 huevos rancheros are one of my favorites…right up there with chilequiles! 2) I hope you are feeling better. 3) I am in love with your daughter. 4) If I were closer, I would totally hang out with her and her owl pj’s while you slept. I can row a mean imaginary boat. 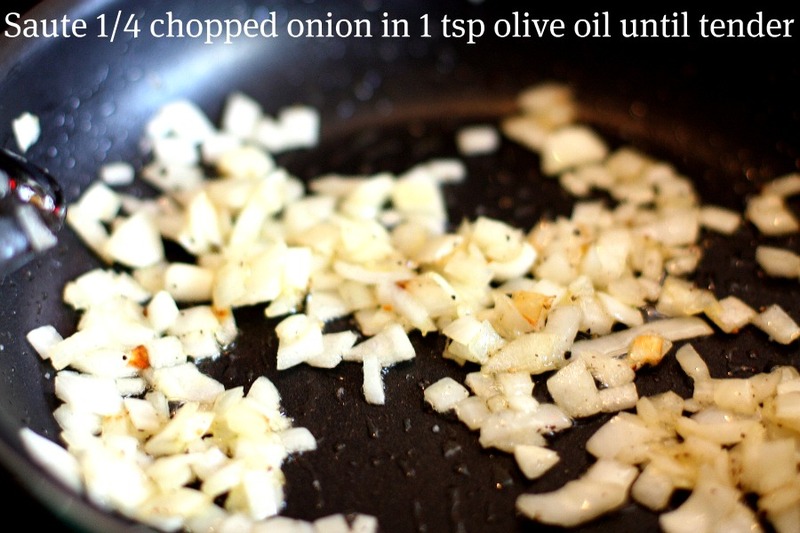 definitely making this for lunch today, yum! 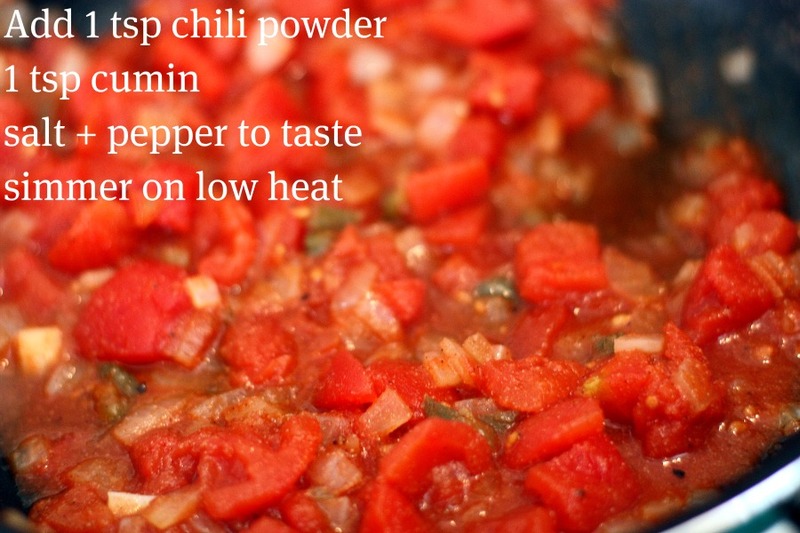 You must be feeling better, if you made Huevos Rancheros. That WAS your dad’s request every time he visited us. Of course along with Pan de Campo (cowboy bread). Great memories, brings a smile to my face. Huevos are my FAVORITE thing in Mexico. Love them. That looks so good! 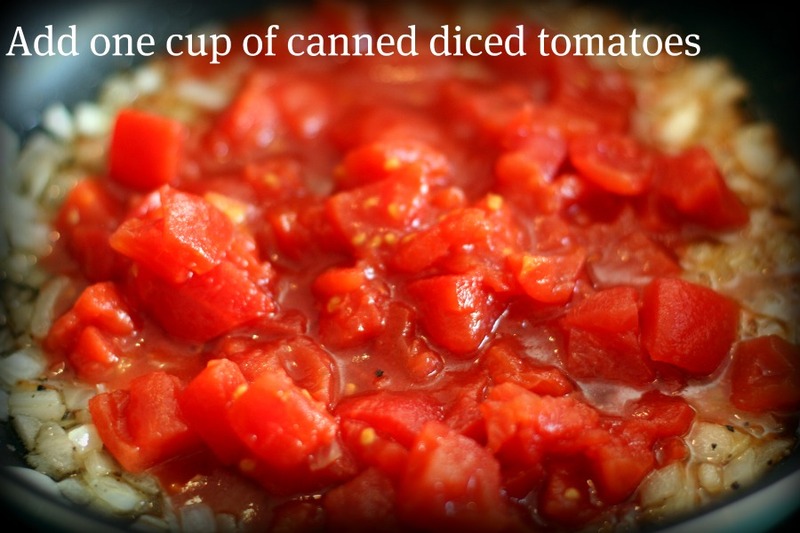 I’ve been wanting to try this dish, and you make it look so simple to make. Mmm…thank you:-). This weblog is superior it has obtained the entire points i sought after to talk about, it’s fulfilled my wisdom, i just appreciated this weblog and that i want to subscribe so can you please inform although your weblog gets as much as date and what?s the procedure to subscribe in details.